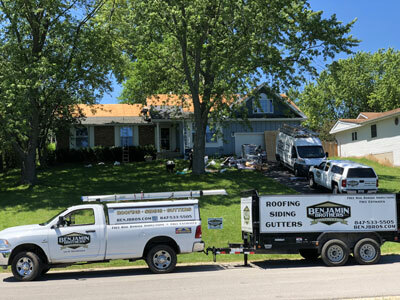 Count on the experienced crews at Benjamin Brothers Construction to do an expert job on roof replacement for your home or business. Has your home or business suffered storm damage from hail and/or high winds? Contact Benjamin Brothers Construction for help with the insurance repair process. 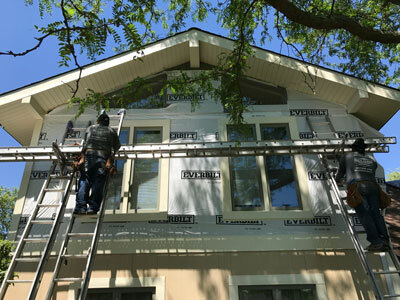 Give your home an update with new siding installed by Benjamin Brothers Construction. Our knowledgeable, capable crews are fast and efficient. We install most roofing material including asphalt shingles, wood shake shingles, metal roofs, tile roofs, and low-slope/flat roofing. Our company is fully insured and has an Unlimited Roofing License, which allows us to pull permits and do any size residential, commercial, or industrial roofing project. We install most siding material including vinyl, LP Smartside, and Hardie fiber cement siding. We can also change out soffit, fascia, gutters, downspouts, windows, and doors to give your home the updated facelift that you're looking for! We work with all insurance providers and have completed hundreds of insurance claim jobs. We also have former insurance adjusters on our staff so call us before you file a claim so we can inspect to see if there is enough damage that warrants a claim. We are a GAF Master Elite Certified Contractor, which is a certification that GAF only gives to the top 2% of roofing contractors. Therefore, we can offer the industry’s best “Golden Pledge Warranty”, which includes a Lifetime Material Warranty (50 non-prorated years) and a 25-Year Workmanship Warranty which is transferable one time to another homeowner in the first 20 years. GAF also backs the warranties so they will send another MasterElite Contractor to your home if there is a problem and you/they can’t get a hold of us (GAF would also pay the contractor for the repairs). 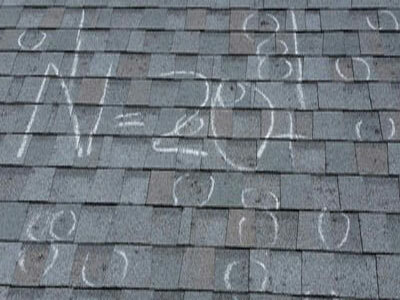 If you need a new roof, you’ve come to the right place! Whether you need roof repairs or a new roofing system, rest assured that you’ll only get top-quality materials and workmanship from Benjamin Brothers Construction. 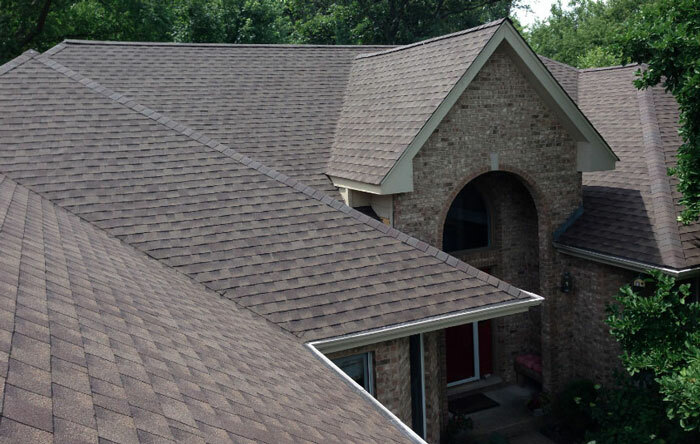 We work on residential, commercial and industrial roofing projects and are experienced with asphalt shingles, wood shake shingles and metal roofing. Benjamin Brothers Construction works with all insurance providers and has completed hundreds of insurance repairs related to hail and wind damage. Contact us first before you call to file a claim. We’ll conduct a free inspection of the damage to determine if it qualifies for an insurance claim, then once you file, we’ll work with the insurance adjuster to make sure all the damage is included in their estimate. Transform the look of your home and improve its curb appeal with eye-catching new siding. Benjamin Brothers’ crews are experts at siding installation, from vinyl to fiber cement to aluminum. We will even match a competitor’s quote if they are licensed and insured, and the quote includes the same products, scope of work and workmanship warranty. Benjamin Brothers is ready to install a complete gutter system with downspouts and gutter guards. We carry Bulldog Gutter Guards, Leaf Sentry Gutter Guards and RainDrop Gutter Guards. Benjamin Brothers Construction is a GAF Master Elite® Certified Contractor, which is an award given by GAF to only the top 2% of roofing contractors in the U.S. We’re ready to show you what sets us apart from all other companies in the area. Call us at (847) 533-5505 or fill out our online contact request form to schedule a quote! Owners Matt Benjamin and Cody Benjamin are brothers who started working at young ages for their father who remodeled and built custom homes in Nebraska. They've been in construction most of their lives, therefore, they posses over 60 years of combined experience including actual hands-on experience installing roofing, siding, soffit, fascia, skylights, windows, and doors. They've completed over a thousand projects including hundreds of insurance jobs which is why numerous insurance agents tell their insureds to have us inspect their homes before proceeding with an insurance claim. We take pride in our work, we protect your home and landscaping with tarps and plywood, and we clean up after ourselves so you don't have to. We only install the best materials on the market because they last longer and don't cause problems that require "call-backs". Our workers work hard and methodically to complete your project in a timely fashion so your home won't be exposed to the elements over night.